Hyperlapse is fairly new and many have discovered it's great for a polished look, or at least a video that feels like it's been professionally edited. If you sell a product that has to be assembled or want to show the making of something, this tool is perfect. Here's Econsultancy founder Ashley Friedlein on our recent Marketing Cycle charity bike ride in Dieppe. Reflector allows you to mirror a mobile device on your computer screen over a WiFi network. It's great if you want to record an interaction on your smartphone or tablet. Say you've just created an app and want to encourage people to download it from your website, this tool will allow you to shoot some video and then you can investigate how to turn it into a GIF or edit it in iMovie. Alternatively, it's handy to have on your laptop for meetings, if you want to show something from your mobile without crowding round a small screen. 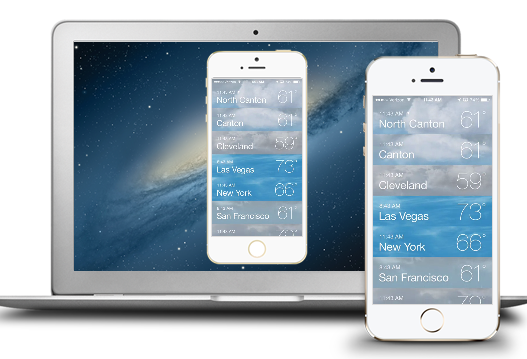 Reflector costs $12.99 but it's simple to use, effective and much better than bothering to jailbreak your phone. Two obvious choices but invaluable ones. Youtube for its small and useful edits as well as how easy it is to host and share, iMovie for its ease of use and wide functionality. There are a number of websites that allow you to upload a video file (in several formats) and will convert it to a GIF for you, often emailing you the resultant file. Whilst some of these sites don't look promising, they're often easier for the novice than converting in Photoshop. I've used Zamzar before and it worked well. If you're embedding images, it's often advantageous to use imgur to host. The links are more likely to remain, longer term, than one you've taken from elsewhere on the web and you shouldn't see any images go missing. One of the advantages of the Chrome extension of imgur is that it adds a 'rehost image' button to your context menu, allowing you to stash images quickly. Of course, make sure you're not taking anything that is copyrighted. We often recommend Awesome Screenshot as the best way to screengrab and annotate. Note, though, that it doesn't always work on websites with lots of HTML5 or obviously those that block screen capture. 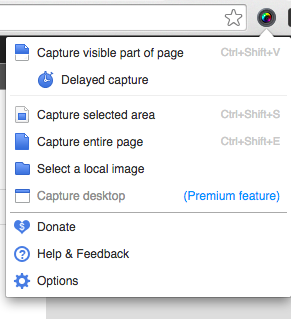 In that instance it's easier to hit shift+cmd+4 on your Mac to access the snip tool. 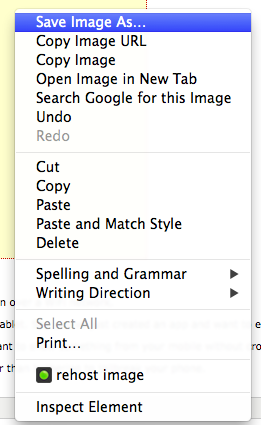 On Windows, I often simply take a screen capture using the keyboard button and then crop/annotate in MS Paint. I don't profess to be an expert. Piktochart is a good one. Get stuck in if, like me, you are pants at Adobe. Wordpress is more than just text, I understand. But for 'distraction free writing' it really is the best.